1. First, you need to turn the plastic bottle upside down and paste on the bottom of a square piece of scotch. 2. 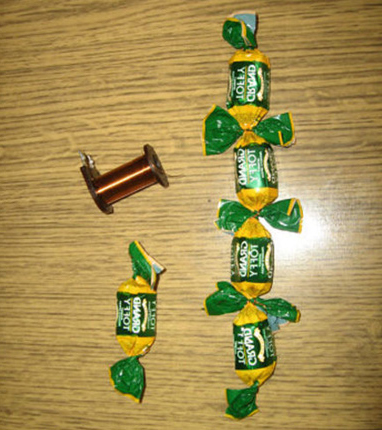 Take four candies and connect them to each other for tails wire. 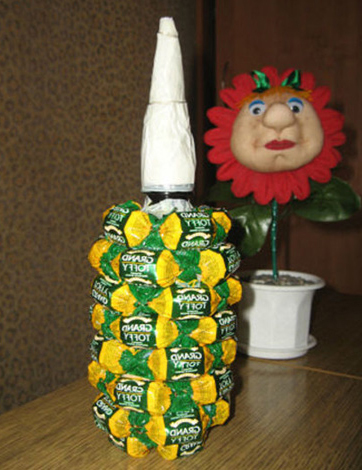 In the middle attach one more candy so that there was no lumen. 3. 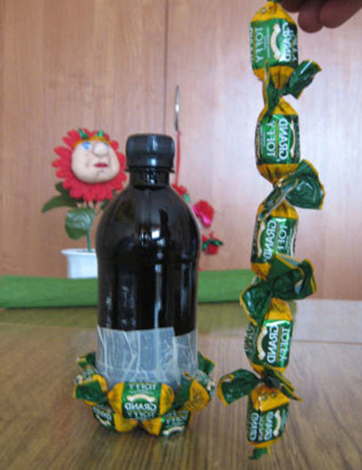 To the bottom of the bottle glue our billet of sweets. 4. We begin to form the basis of the pineapple. 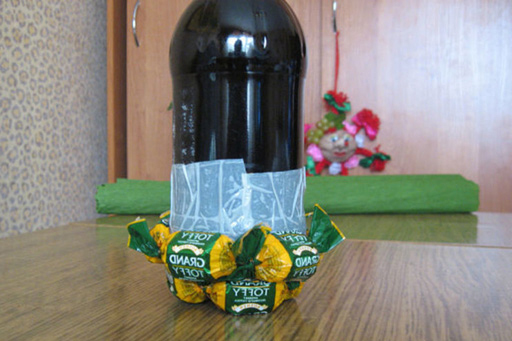 Pasted the bottle with scotch and in chess order start to glue to her candies in rows. 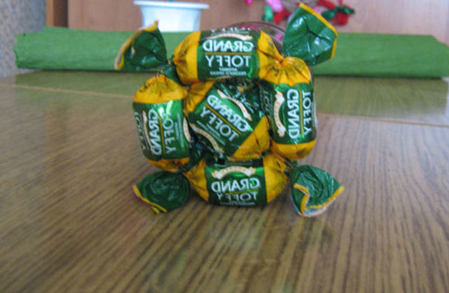 Do not forget to distribute well the tails of candies, so that there was no empty space. 5. Make a cone of cardboard and pasted it with a double-sided tape. 6. Put the cone on the bottle, but not very deep, so you can unscrew it in the future and pour the contents. 7. 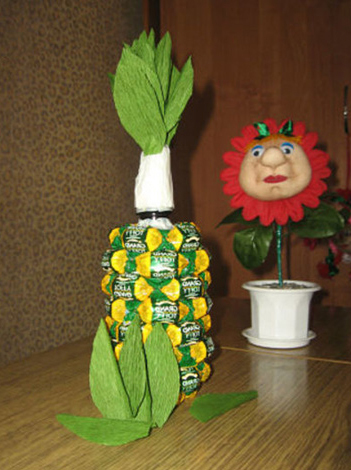 Cut out the green paper leaves and glue them to the cone in a circle of rows. 8. 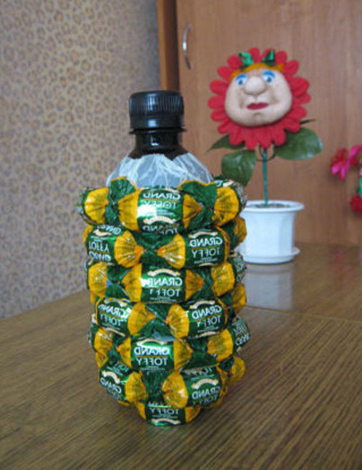 The last row of leaves is glued to the neck of the bottle, thereby combining the rows of candies with the top of the product. All! 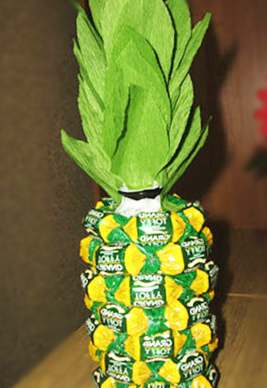 Our pineapple of plastic bottle and candy is ready.